The Millwood Fire Co. and Fire District would like to congratulate 5 of our members for graduating from the New York State Firefighter 1 program yesterday evening. These members, along with more than 60 others, completed over 120 hours of training at the Westchester County Fire Training Center in Valhalla. 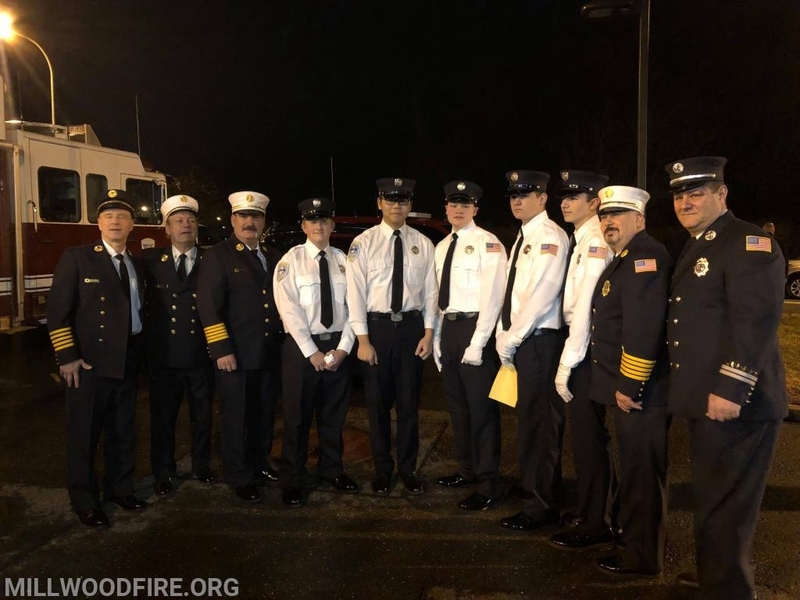 We would like to congratulate Probationary Firefighters Jon Doyle, Aron Zhao, Matt Eiden, Dominic Raguso and Arton Mekuli for this incredible achievement. In attendance at the ceremony was Ex-Chief Greg Santone, 1st Assistant Chief Jan Schwark, 2nd Assistant Chief Frank Nestro, Chief Jorge Rodrigues and Captain Chris Raguso.